In the March of Time archives has a short video entitled Birth of Swing. The makers of this video trace swing back to around 1917 when the Dixieland Jazz Band was formed. The narrator explains that swing music has become extremely popular at the time of its creation (1937) and dives into the history of it. The video tells the story of a Victor Talking Machine (a brand of record player) music scout visiting a cafe where the pianist was playing a “kind of swinging music.” In response to being asked what his band’s name was, the pianist replied “Dixieland Jazz Band.” The scout decided to bring them from New Orleans to New York City to the recording studio. Since then they became extremely popular across the United States. This was when jazz started to become a term commonly used in the popular music idiom. Somewhere over the course of time between then and 1937, the term jazz however, had received negative connotations as a lowly, cheap kind of music and therefore was undesirable by white audiences. A simple marketing strategy to change the word on albums from “jazz” to “swing” enabled the popularization and dissemination of the music all throughout the country. And so during the days of the production of the video swing one of the most popular music genres in the country. Swing music, it gets concluded, was simply jazz music from an earlier period in American History. Birth of Swing. Produced by Home Box Office. http://search.alexanderstreet.com/view/work/bibliographic_entity%7Cvideo_work%7C1792778. I would highly recommend to anyone looking into any related topics for their papers to visit this book as a potential resource as there are many different scholarly voices present and though music isn’t the primary focus of this book, it does touch upon popular figures such as Gershwin and Ellington, but more importantly, as is written in the introductions, the book articulates the major figures of the time as well as the political landscape in which a lot of the music we’re studying was written and produced. Ogbar, Jeffrey Ogbonna Green. 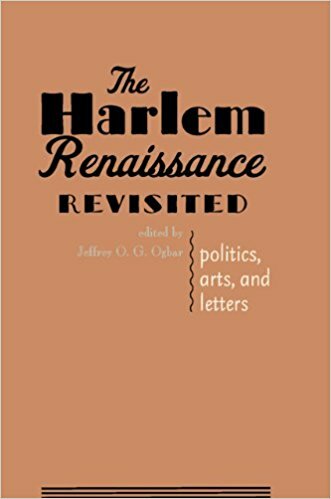 The Harlem Renaissance Revisited : Politics, Arts, and Letters. Baltimore [Md. 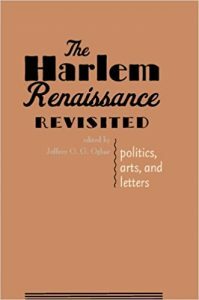 ]: Johns Hopkins University Press, 2010. 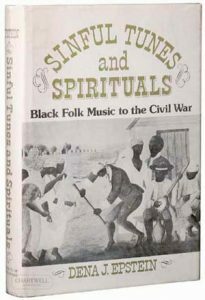 In her book entitled Sinful Tunes and Spirituals, Dena J. Epstein explores black folk music in the United States up til the civil war. The tunes analyzed are all slave songs that have been notated on musical staff paper, something that is inherently separate from the traditio ns that black folk musicians established in their practice. These songs were all sung by slaves, mostly in the fields where they worked. 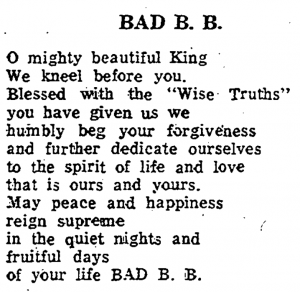 Sometimes these songs were used to communicate messages, making use of metaphors or other poetic techniques that disguised their meanings to the slave owners that may have heard them, but to other slaves, the message would be clear. Through this kind of code, a sort of secretive communication started to develop. I believe that this book would make an excellent contribution to the museum exhibit because it provides high-quality scholarly insight into the history of black folk music and makes use of artifacts leftover from that time period where some of these songs were recorded in our standard western musical notation. This book also makes use of images to provide a supplemental visual aid to the reader to be able to picture the events and the parts of history that are described within it. Furthermore, there are tons of scores contained within the book, so if one wanted to attempt to recreate these songs in the present day, it would be possible to do so to some extent. Obviously, like we’ve mentioned in class, there are lots of stylistic performance techniques that are lost in the process of notating these songs, but having the notes at least preserves it in some sense as to not let it die out. 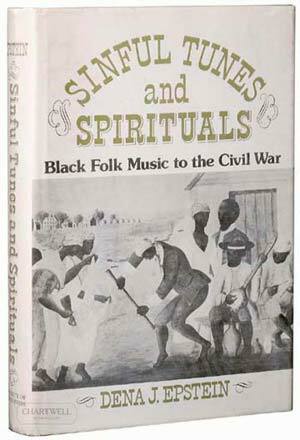 Epstein, Dena J. Sinful Tunes and Spirituals : Black Folk Music to the Civil War. Urbana, University of Illinois Press, 1977. The Nookta Native American tribe has its origins in modern day British Columbia. The Nootka Farewell Song performed by George Clutesi is not only a fine example of a conscious effort to preserve the Native cultures of the region but also it is an example of traditional Native American music being given some light in the mainstream culture of today. Clutesi was the first Tseshaht mainstream celebrity in Canada. He was a multitalented artist who acted, wrote, and was an expert on native cultures. As a child, Clutesi was forced into participating in an educational system where one’s native heritage and culture was seen as a negative attribute and whose goal was to erase it. Fortunately, even as a young child Clutesi knew that there was something fundamentally wrong with this ideology and rejected it completely through his artistic talents. The song I’ve linked below is a representation of what Nootka music sounded like during the 20th century. Notable features of the song include an ad libbed introduction sung as a solo, then when the main tune kicks in the drum beat starts pounding a steady beat that continues until the ad lib outro. At the same time, as the drum beat beings we hear a choir singing in unison quietly in the background. If it weren’t for Clutesi and his activist contributions to the preservation of Native societies’ cultures there would be many songs such as this one which would be lost in the universe, never to be heard again.